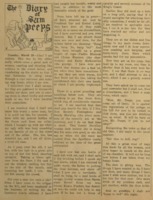 Beginning in 1946, "The Diary of Sam Peeps" was an anonymous gossip and homour column published in the Dalhousie Gazette. Like the 17th century Diary of Samuel Pepys, Sam Peeps disguised the identities of his subjects with code names. For example, Shirreff Hall was called Marmalade Hovel, and President Kerr was known as Dr. Hound and President Otto. The column annoyed President Kerr and other conservative members of the administration, who worried that the column would tarnish Dalhousie's reputation. 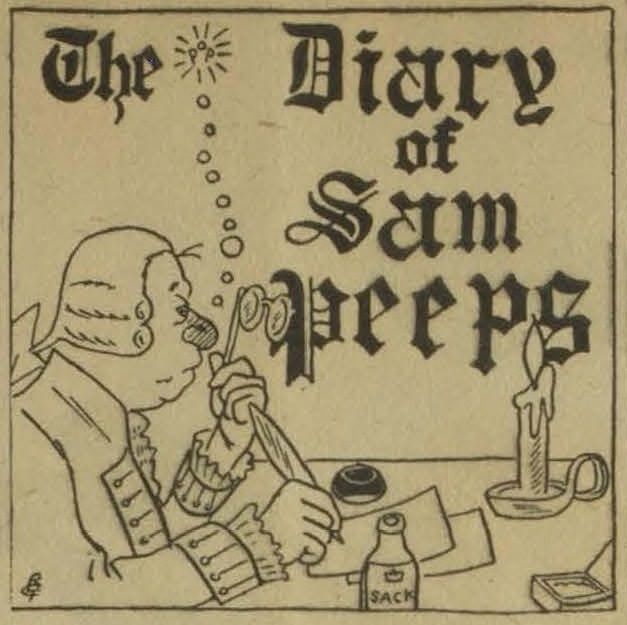 The person behind Sam Peeps was Jack Lusher, who joined the editorial staff of the Gazette as Features Editor in 1946. 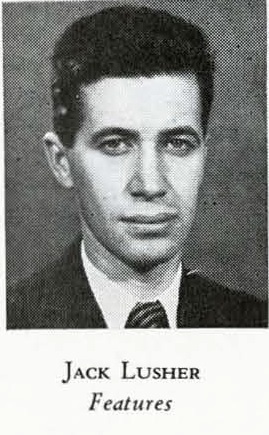 He later held the positions of News Editor and co-Editor-in-Chief. Lusher also had an interest in Canadian football, acting as manager for Dalhousie's first Canadian football team and reporting heavily about the sport. In 1949, Lusher was forced to resign because of his controversial and "undignified" editorial decisions. However, students protested the forced resignation and Lusher was reinstated after the Gazette won a debate against the Student Council. Jack Lusher graduated from Dalhousie in 1949, but "The Diary of Sam Peeps" carried on with a new author. After graduation, Lusher worked as a reporter for the Halifax Chronicle-Herald, the publicity director for the Nova Scotia Canadian Football League, and the director of Public Relations for the Canadian Broadcasting Corporation. The first Sam Peeps column is published in the Dalhousie Gazette. Jack Lusher was forced to resign as editor of the Dalhousie Gazette. Sam Peeps' obituary was published in the Gazette after Jack Lusher was forced to resign as editor. Sam Peeps reveals that he wasn't actually dead and Jack Lusher is reinstated. 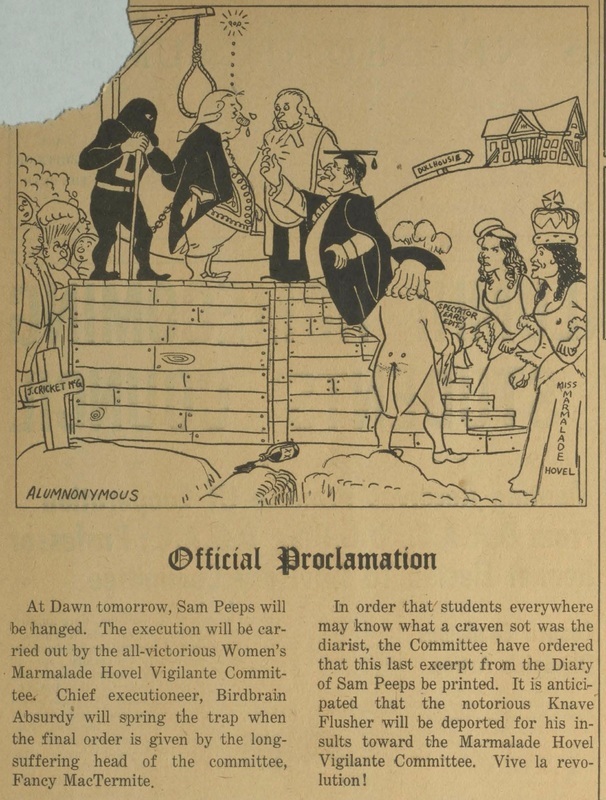 It is announced that Sam Peeps will be executed by the Women's Marmalade Hovel Vigilante Committee. Sam Peeps bids farewell as his execution is announced, and Jack Lusher leaves the Gazette. "The Diary of Sam Peeps" was revived in volume 82 of the Gazette, with a new author. The Diary of Liz Peeps is published in a parody issue called "The Dalhousie Galsette." The column is revived for a second time in volume 90 of the Dalhousie Gazette.